GTC Newsletter 5th June 2017 – What a week! Well here goes. I have taken on the somewhat challenging task of producing the weekly GTC newsletter. And I have very cleverly chosen to do this on what appears to be the busiest week of the racing calendar when essentially the entire club has been out, performing their socks off. So it might be a long one and I have a tendency to over illustrate with photos. If this new rather wordy version of the newsletter is not to your liking please do let me know and I’ll adjust next week accordingly to a few bullet points (as I weep into my pillow). Alternatively you could all stop doing so well and then there’d be nothing to write about. And so onwards to the news! 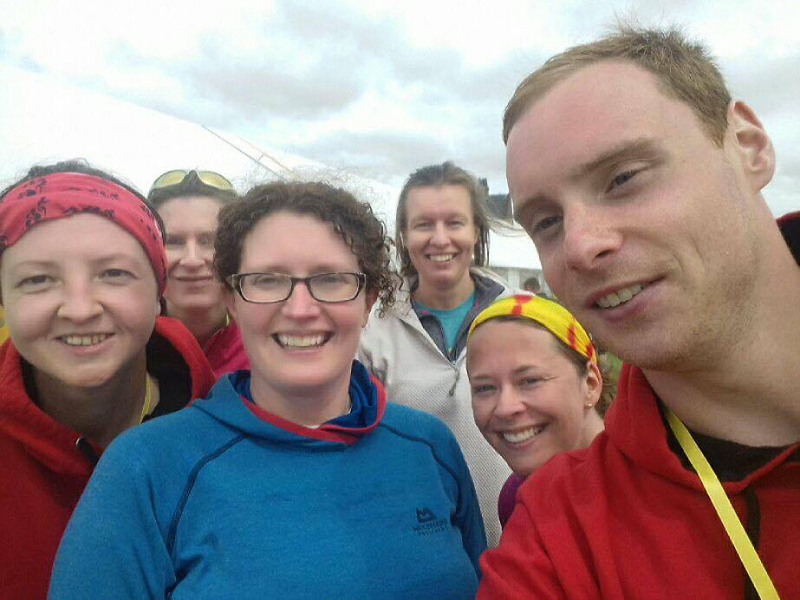 Maureen Boyd contacted me to say that a group of intrepid GTC’ers ventured west last weekend to take part in the Mull of Kintyre half marathon and 10K but didn’t quite make it into the newsletter on time. She went on to say: “What a beautiful run, part of it was on the beach which was so cool. I actually enjoyed the first 10 miles but the last 3 were a killer!!! It seemed like the whole of Campbeltown came out to support us and we got a great wee goody bag at the end. Me, Michelle Smith, Charlotte McClelland and Craig Armour did the half and Susan Gallagher and Vicky Mclaren did the 10k.” Well done all! 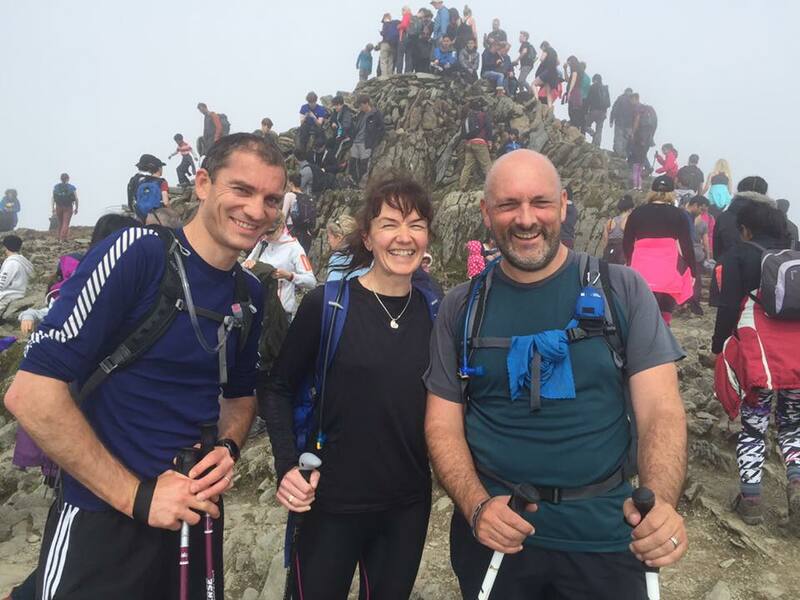 Also not quite making it into the newsletter last week was that members and regular Sunday swim attenders Louise and Craig Ross ran up and down the three highest UK peaks inside 24 hours, Snowdon in Wales (1085m) Scafell Pike in England (978m) and Ben Nevis in Scotland (1345m) – an amazing feat so well done both! And now to this weekend. I’m not sure there was anyone in the club who wasn’t racing somewhere. 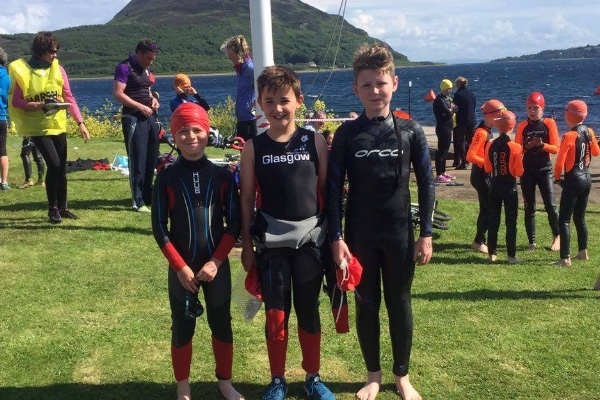 Saturday saw the Isle of Arran Triathlon Festival, with a number of distance events, including Tristar races. 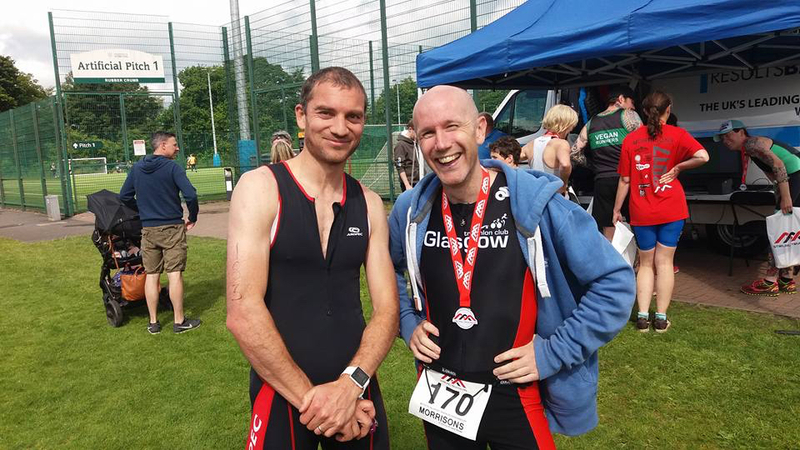 Apparently the swim had to be shortened due to the wind making conditions a bit choppy (eek) but that didn’t deter club members Alastair Young and Andrew Cruikshank from completing their first sprint and standard distance events respectively. Hats off to them for finishing (and indeed choosing a sea swim event for their first in a step up!). 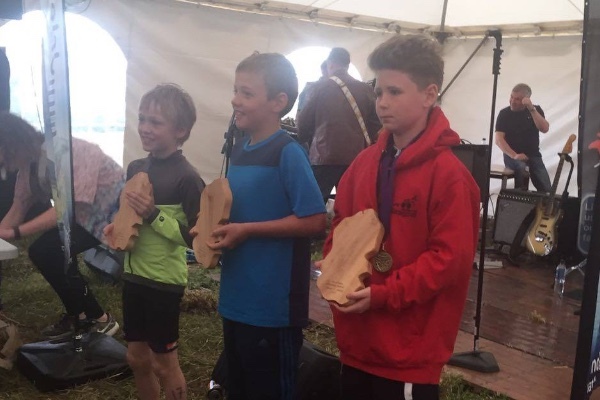 Also competing on Arran from the youth section were Johnnie Munro (Tristar 2) and brothers Liam and Max Bennet (Tristars 2 and 1 respectively). Again they all did well to finish in tricky conditions, with Liam topping off the day with a podium finish in 3rd! Congratulations to them all. Well it seemed like half of GTC went to Stirling on Sunday morning for this ever popular event. For the grown ups it meant another unacceptably early start. Registration and transition opened at 5.45am (5.45am!!) which meant getting up at around 4.30am. That was me nearly pulling out due to extreme grumpiness, but after two weetabix and the promise of sunshine I was cheered enough to be persuaded out of the house by Paul, despite my 45-seconds nights sleep. On our way we picked up fellow GTC’er Michelle (McCabe) Donaldson and actually consoled ourselves that although we had a dawn sprint triathlon ahead of us, at least we weren’t Mike (Donaldson) who was having to single-handedly manoeuvre 4 children (one of whom was my daughter) with all their equipment to Stirling slightly later in the day for their races. 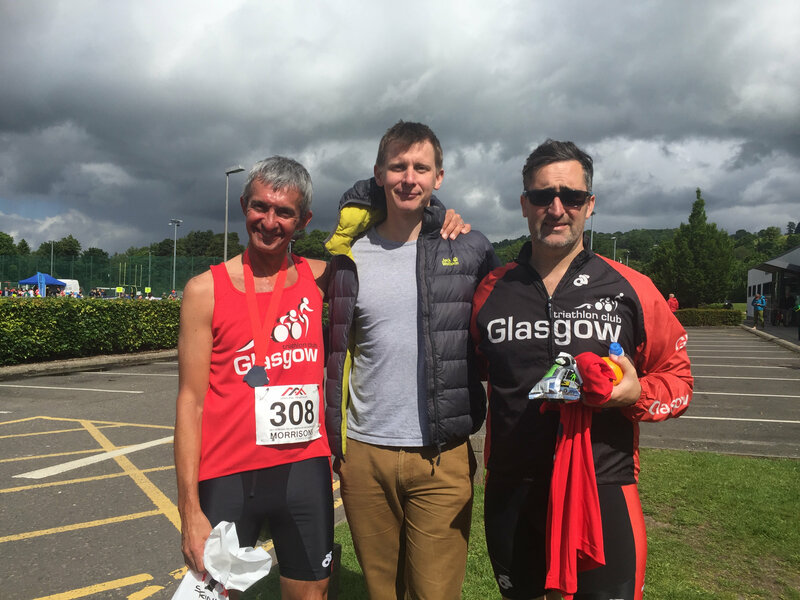 On our arrival at Stirling we met the merry bunch of other competitors from GTC who were taking part in either the Sprint, novice or relay races. 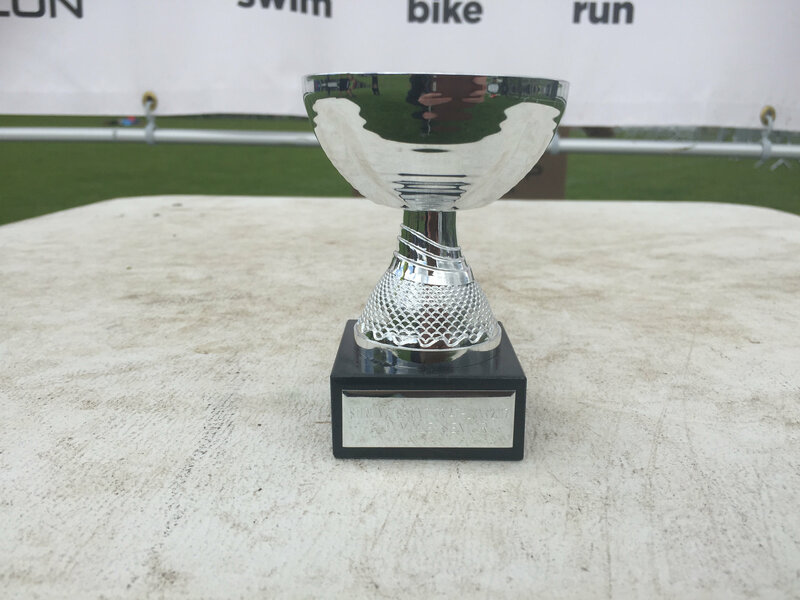 The race was well organised, the cycle route very pleasant (other than a rather strong headwind on the way home) but the run had a near vertical climb that we (in the sprint) had to scale not once but twice (twice!). Despite the tricky hill everyone put in super performances with no less than 4 podium places for GTC (and that’s just the adult races). Sprint (female): Deborah Shipton (V) 1.28.12; Christine Catterson (3rd SV) 1.28.49; Michelle Donaldson (V) 1.30.25; Fiona Beck (V) 1.30.38; Hilary Glen (V) 1.34.44. 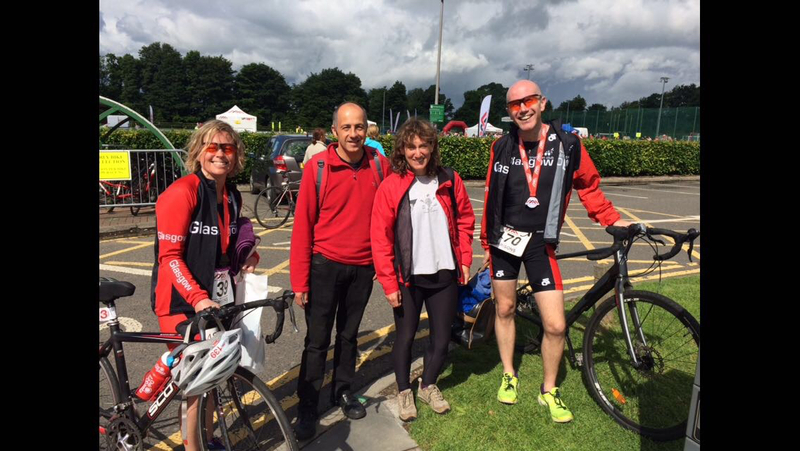 Michelle, Fiona and I all improved on our times from Bishopbriggs (despite the hill of extreme pain) so we were all terribly pleased. Sprint (male): Craig Ross (3rd S) 1.12.32; Ian Ramage (2nd SV) 1.17.07; Stuart McIntyre (V) 1.19.27; Alan Duff (SV) 1.23.49; Ken MacEwen (1st Vin) 1.25.41; Paul Glen (V) 1.26.24. Sprint (relay): Tom Pendrey, Alan Kennedy and Annibale Coia 1.20.18. But it wasn’t just the grown ups in action in Stirling. The youth section also put on a sterling (sorry) show. Across the Tristar 1-3 categories, there were 17 GTC youth members racing, who all put their heart and soul into their performances. 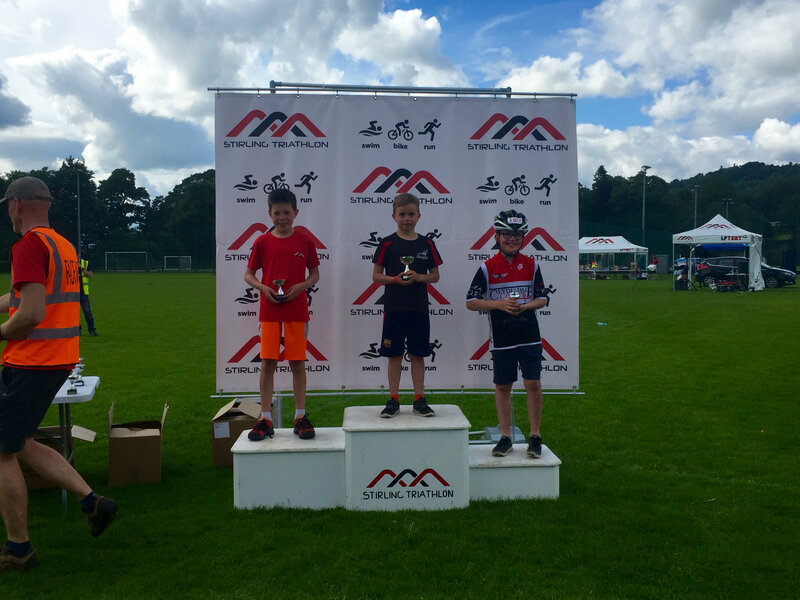 There were more podiums here too with Fraser Donaldson winning the Tristar 1 (boys) race and Mia Padmanabhan finishing 3rd in a very strong Tristar 3 (girls) race. 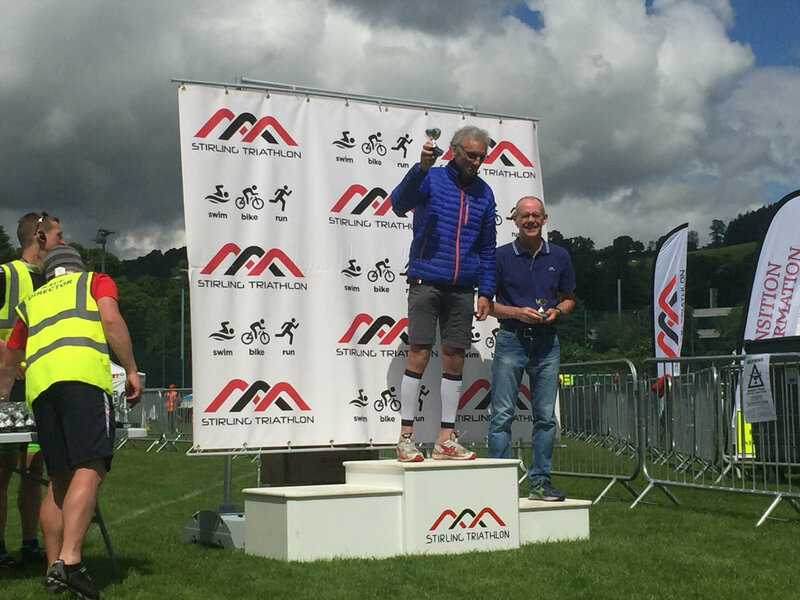 Hats off also to Johnnie Munro who competed in Stirling having also competed the day before in the Arran triathlon! One particularly fast time recorded was by a certain Holly Glen who quite frankly decided two laps of the cycle course was not for her and she would just do one thank you very much. This follows her oops-was-that-the-wrong-number-of-lengths swim in the aquathlon and last years two-sprint-finishes at Bella (‘no one told me it was two laps of the run’). Personally I blame the parents. 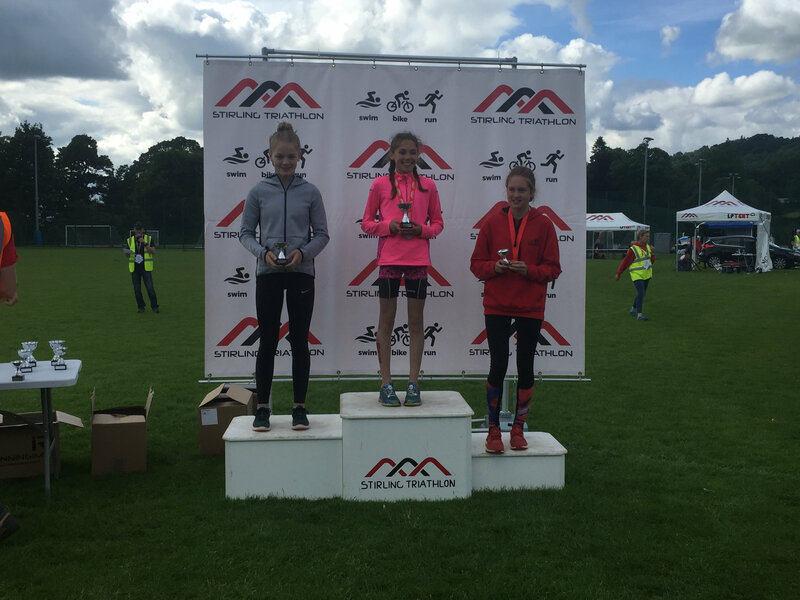 They kept it quiet but Vicky Begg and Fiona Russell both competed in the Montrose Sprint Triathlon. Vicky won the female event with an amazing time of 1.18.14 and Fiona was not far behind, fourth female vet with a time of 1.25.49. Well done ladies! 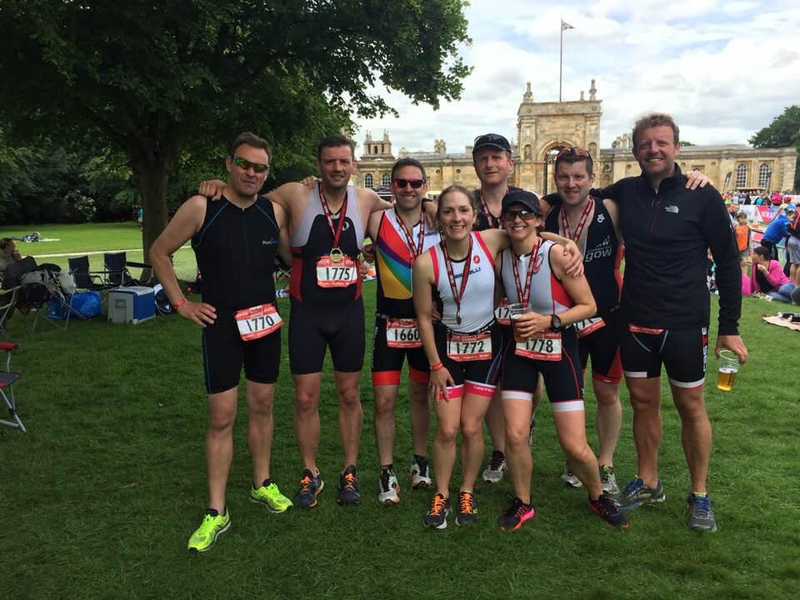 Beth and Jim Lockhart both took part in the Blenheim Triathlon, and both managed to take around 3 minutes off their previous times, thanks mainly they felt to improvements in their swimming – more thanks to the swim coaches! And well done to you two too! 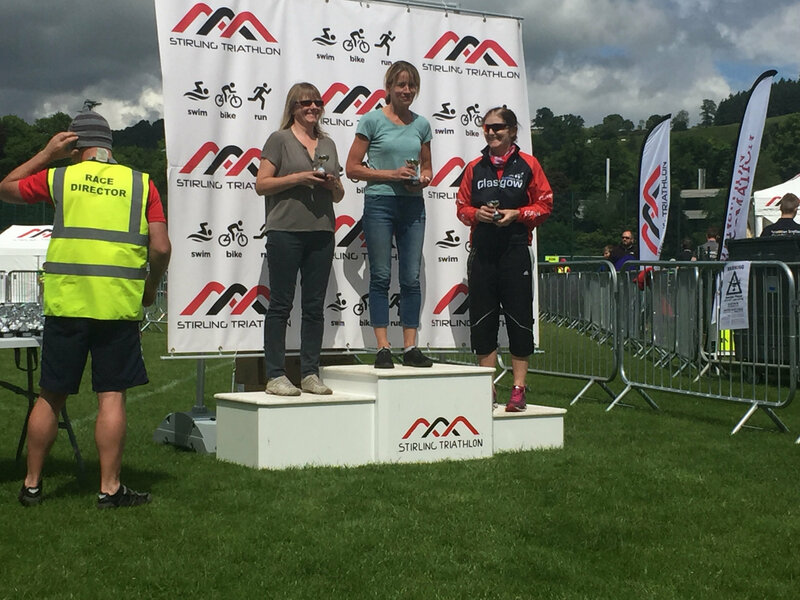 Iona Blair took part in ‘Ireland’s fastest triathlon’ – an open water sprint triathlon near Dublin, and got a PB while she was at it – 1.27.16. Congratulations! Lots of GTC members took part in this. Lesley Mcluskey and Jean Mitchell both got PBs – well done!! 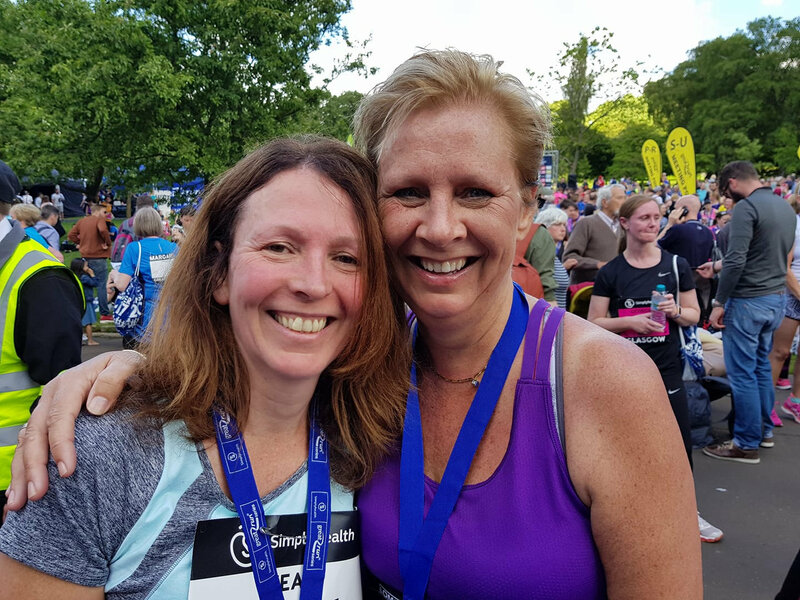 Cheryl Bradshaw who only joined the club in February took part despite being visually impaired – she was guided by Liz Short and finished with a great time of 1.13.24 – huge congratulations to both of you! Margaret MacIntosh and Anne O’Hagan were also racing and I apologise if there were more of you that I’ve not included. Gregor Love seemed to cycle an awfully long way at the Orchil Hills sportive. I thought the Etape Caledonia was hard work but this looked horrendous. 100 miles long with 5535 feet of climbing. Well done indeed. 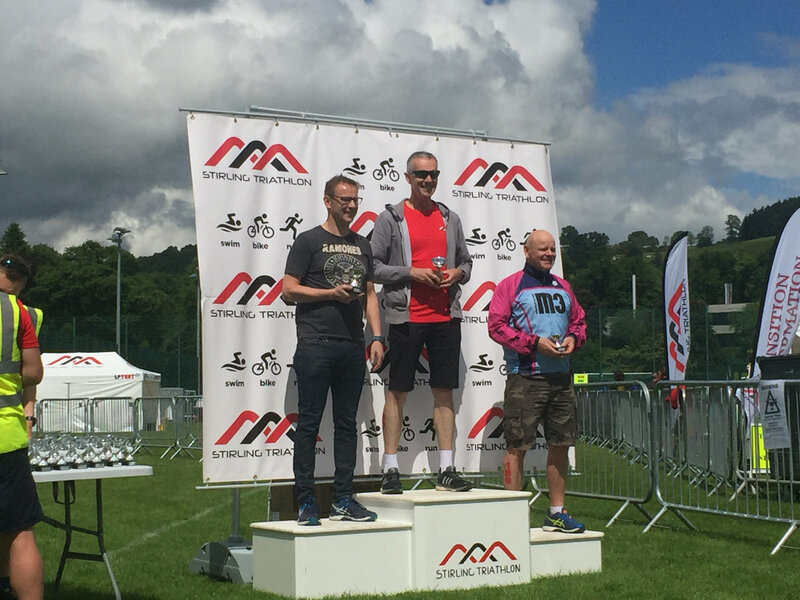 Nial Smith and Sharon O’Leary both competed in the Milngavie Trail Run and did very well – Nial was 13th overall (out of over 200 competitors) and 4th in his category so again congratulations all round. 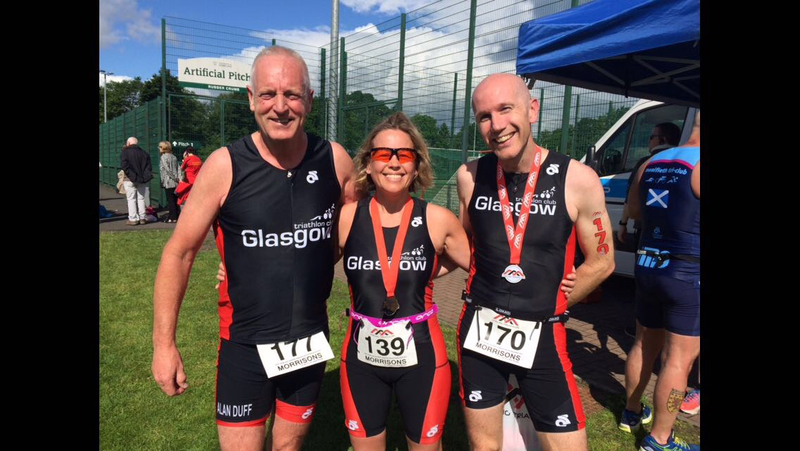 June 12th – Vicky Begg is holding another ‘You, Confidence and Triathlon’ workshop 6.45 – 8.45. See event post for more details. The first two workshops in this series have been very well received and enjoyable. June 14th – Club BBQ and open water swim at Loch Lomond, 7pm – again see event post for more details. You can book a place at the next Fiona Outdoors Club Aquathlon on Fri 16th Jun 2017. These are great races to have some fun, practice swim starts and make all your mistakes outside of a real race. Prizes for the series counting from your best two races. I think that’s all for now. Apologies if it’s too long/rambly/picturey. Also apologies if I’ve missed anything out (or put anything in that you wanted kept a secret). Comments about the content happily received. I’m going to try to get these out on Monday nights, so if you want anything to go into the newsletter, please try to let me know by the end of the weekend.